Alia Bhatt is on a tireless mission to promote her upcoming movie Badrinath Ki Dulhaniya alongside Varun Dhawan and is sporting some amazing fashion on the go! 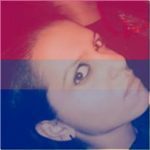 We sifted through all her clicks from various promotional event and photoshoots to bring you this compilation. Walking out of a reality show ‘Dil Hai Hindustani’ shooting, she looked stunning in a white lehenga by Arpita Mehta. Wearing a crocheted blouse and embroidered lehenga, paired with a sleeveless tulle jacket, she projected the perfect blend of minimal makeup with soft curls. She looked stunning! Alia Bhatt at Kala Ghoda Festival. Talking about her promotional shoot at Kala Ghoda festival 2017, she chose to wear a white embroidered dress by Anita Dongre for the event and looked prettier than ever! 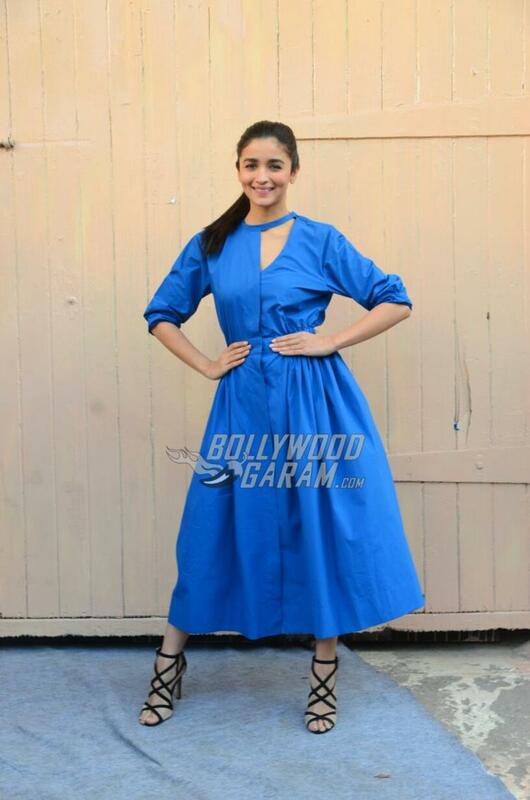 Here, Alia is wearing a pull-up sleeves, blue midi-dress with a cut-out neckline from LoveBirds SS’17 collection and has clearly hit bulls eye with those strapped heels. See More Photos of Alia Bhatt in This Dress! Continuing with her summer streak, Alia chose to wear a hi-lo floral, print slip dress by Prabal Gurang from his Spring/Summer 2017 Collection for a Singapore Tourism event. She paired the dress with black heels and tucked her hair into a pony tail. We clearly love the simple, yet elegant look. 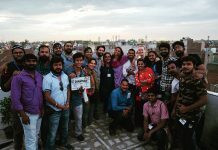 Alia at mehboob studio after a press meeting. After attending a promotional shoot, she went for a press meeting in a gold printed dress by Avni Bhuna, paired with jhumkas and a pair of jootis. She completely rules it in gold, don’t you think? 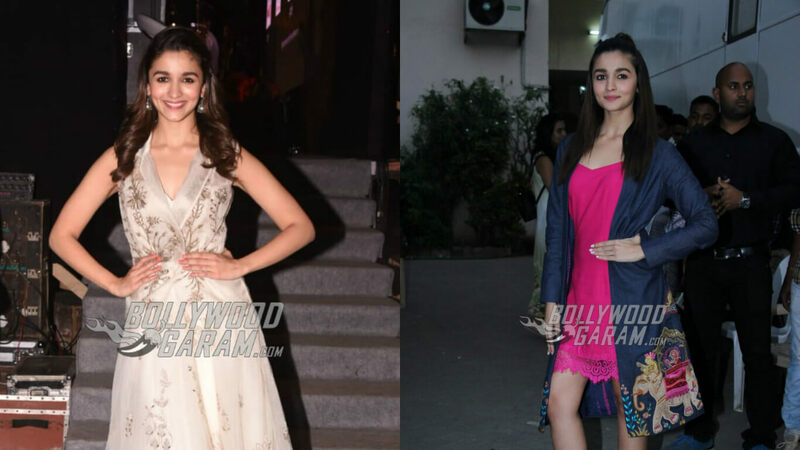 Stepping out of Mehboob studio, Alia looked super cute in a pink dress paired with a blue jacket, printed at the bottom. Seems like she loves to experiment with her hair and maybe its time that she starts giving hairstyle tutorials to all her fans? Alia posing at Mehboob studio. Alia Bhatt and Varun Dhawan returning from jaipur. Returning from a promotional event in Jaipur along with co-star Varun Dhawan, she was spotted exiting Mumbai Airport. Alia was wearing blue ripped jeans and paired it with a white top with pink elbow fur. She completed the look with grey sneakers and looked amazing! We hope this has given you enough ideas to revamp your wardrobe this summer. Stay tuned for updates on latest fashion trends of your favorite celebrities only on Bollywood Garam.